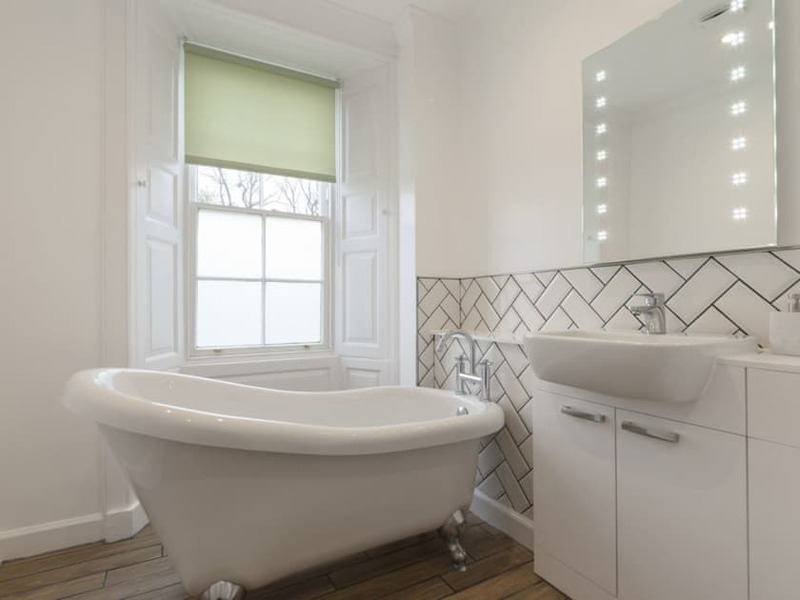 Electric central heating, electricity, bed linen, towels and Wi-Fi included. Welcome pack. Laundry service included. 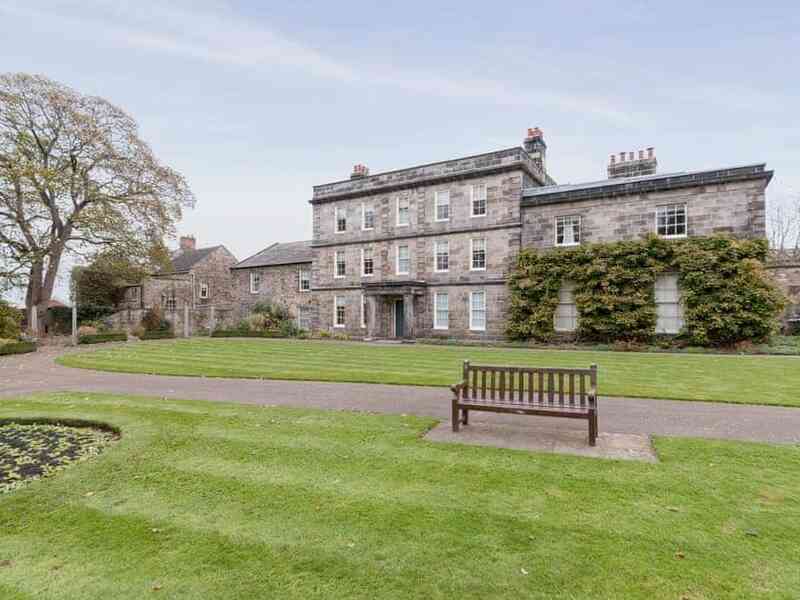 3-acre grounds with sitting-out area and garden furniture (shared with the public and other properties on-site). Bike store. Parking permit for 1 car in public car park included; unloading at the door. No smoking. Please note: This property has a security deposit of £75. 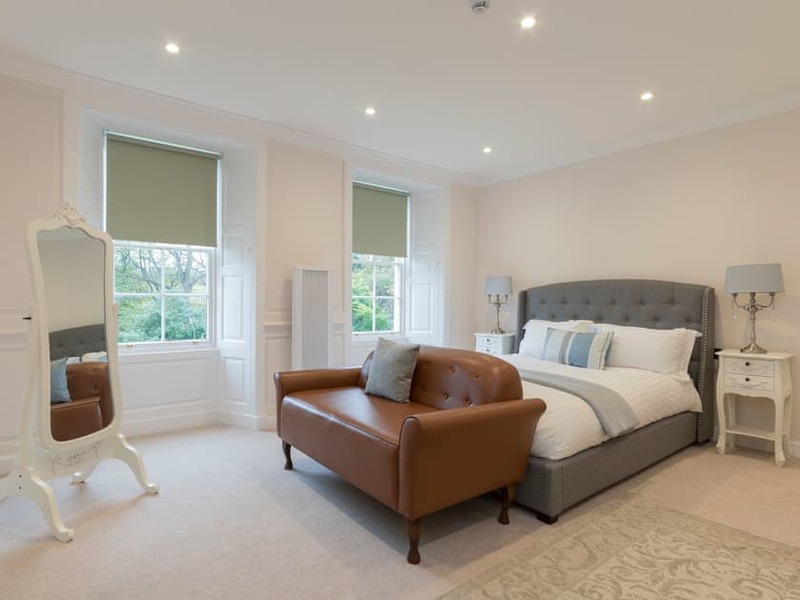 Dating back to the early 1700s and originally built for the use of Hexham Abbey, Hexham House has been lovingly restored and renovated into seven apartments which are unique, individual and full of style. 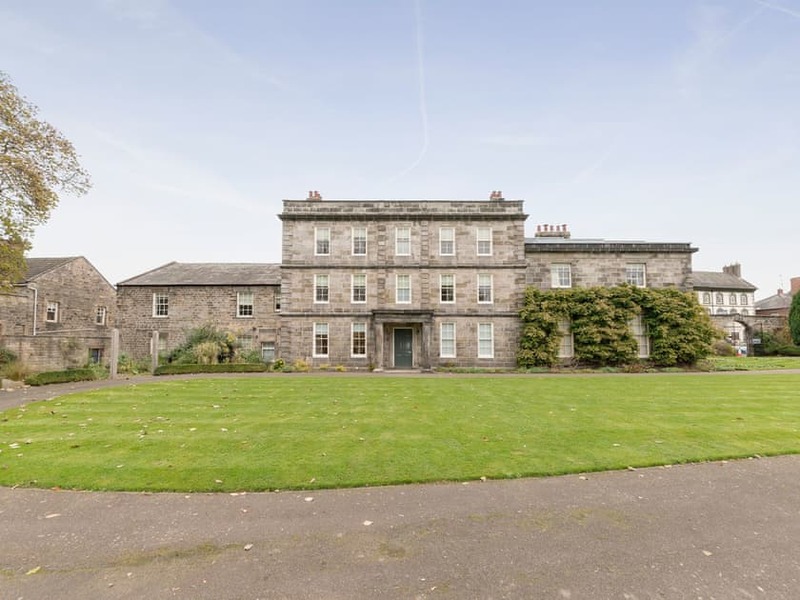 Perfect as a wedding venue, or for guests wanting to enjoy a family get together or celebration with friends, Hexham House really does have everything to offer. 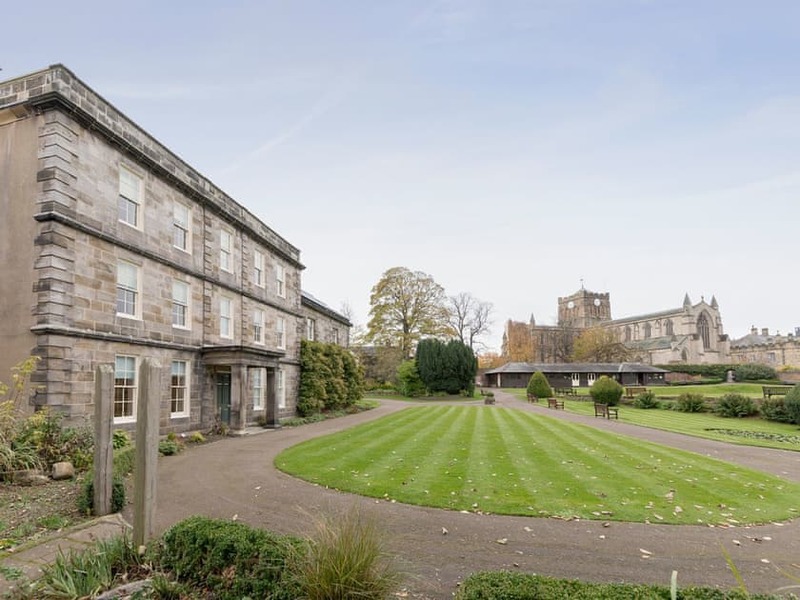 Looking onto the grounds of Hexham Abbey, guests will have full use of this public space and will have access straight into these gardens. 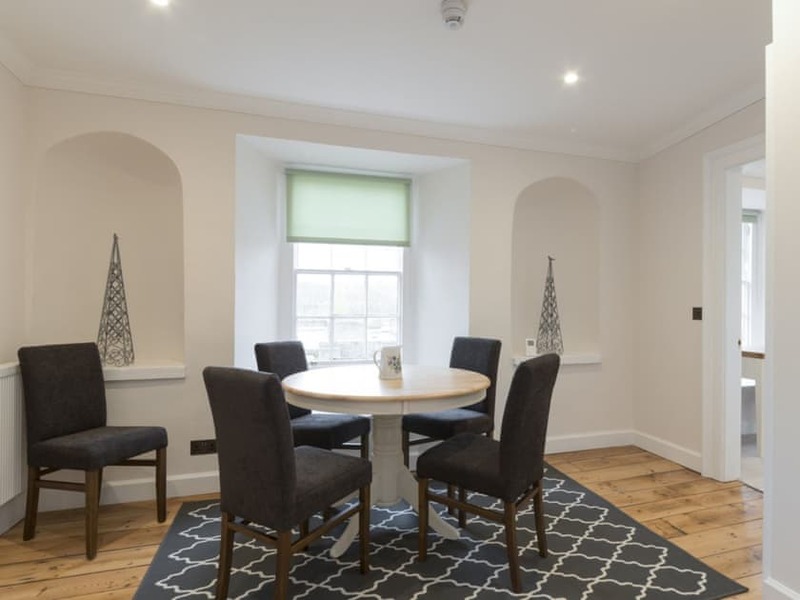 For larger groups, the whole building can be booked together, and with prior arrangement with the owners, a separate reception and banqueting room and also a registrar can be booked if needed. 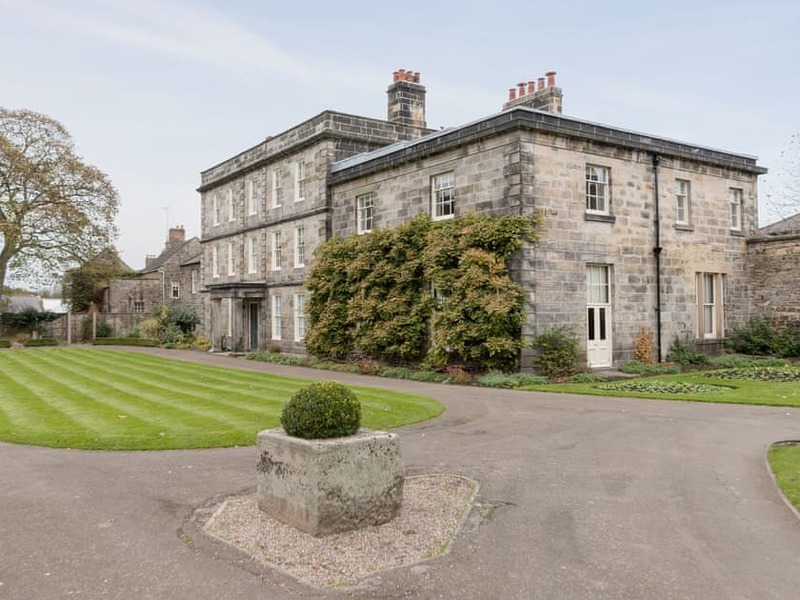 Hexham House really does boast the most magical atmosphere and ambience, which makes it the perfect place to say your marriage vows, with accommodation for guests right on site. 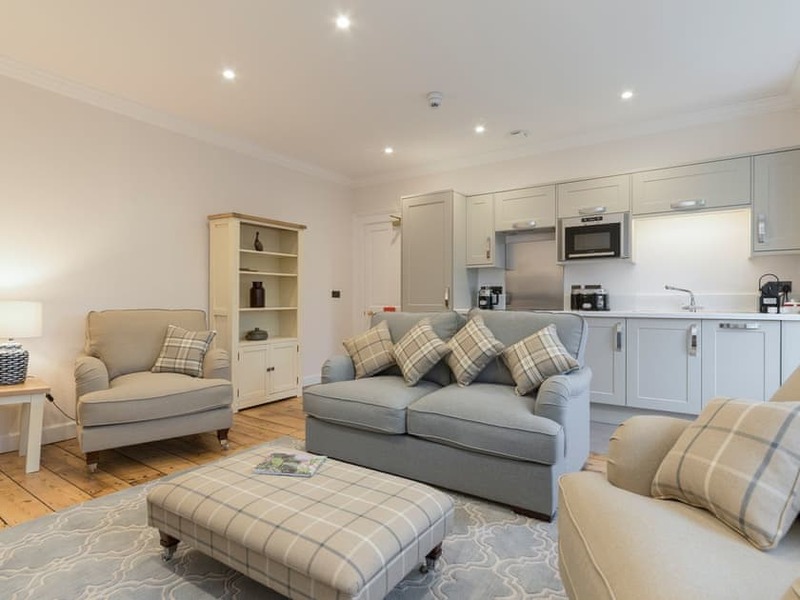 The apartments are also the ideal location for a romantic break or family holiday. 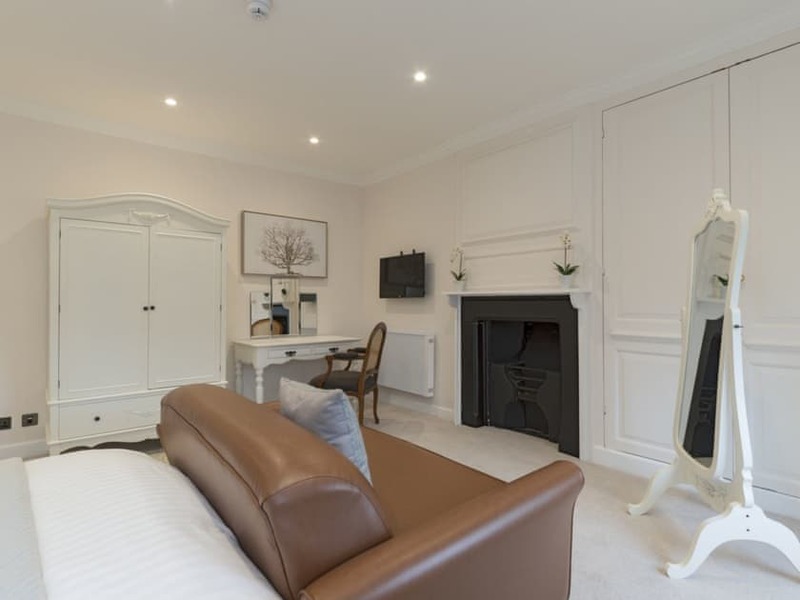 Apartment 7 is known as The Bridal Suite and really does boast the most fabulous accommodation for guests wanting to really enjoy a romantic break or special occasion. 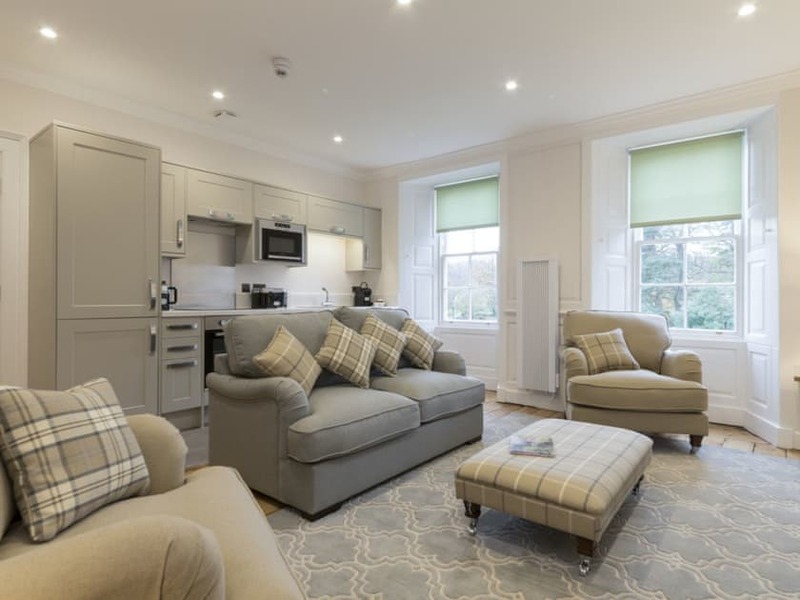 Set on the third floor, the apartment has an open-plan living area and kitchen, and separate dining room, so there is plenty of space in which to relax. 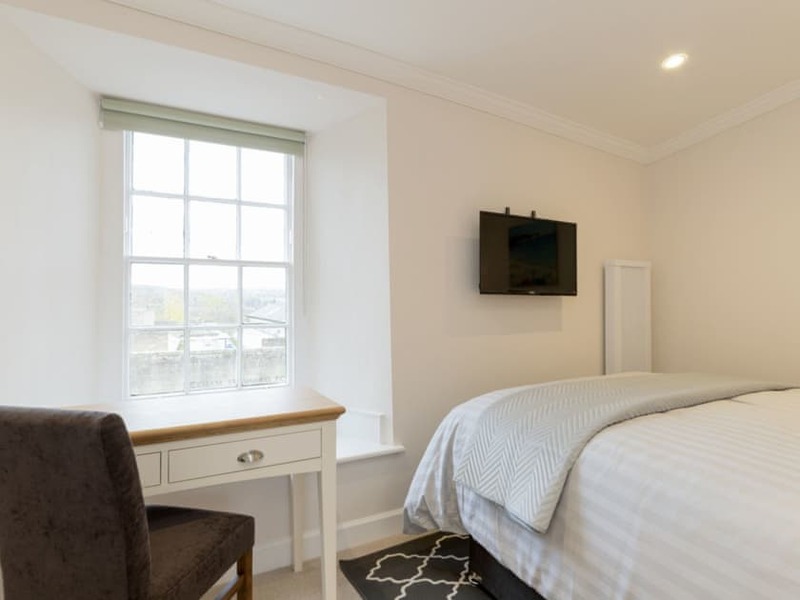 The master bedroom has a kingsize bed and original fireplace, and really is a beautiful room. 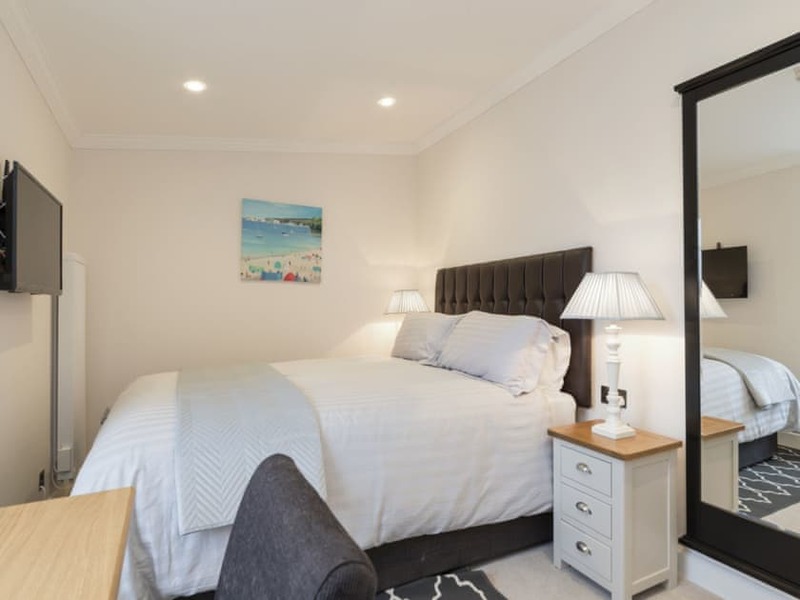 There is also a smaller bedroom with double bed that is impeccably furnished. 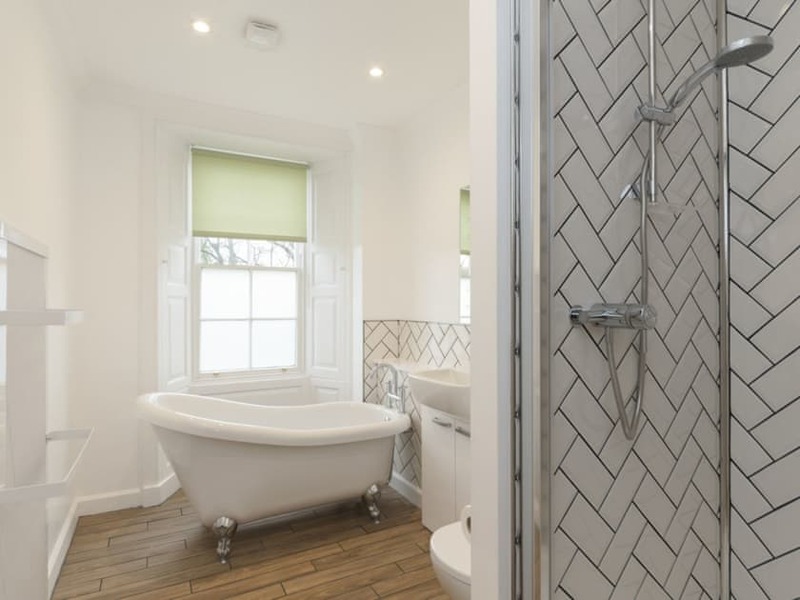 The bathroom boasts a freestanding roll-top bath, as well as a shower cubicle and heated towel rail. 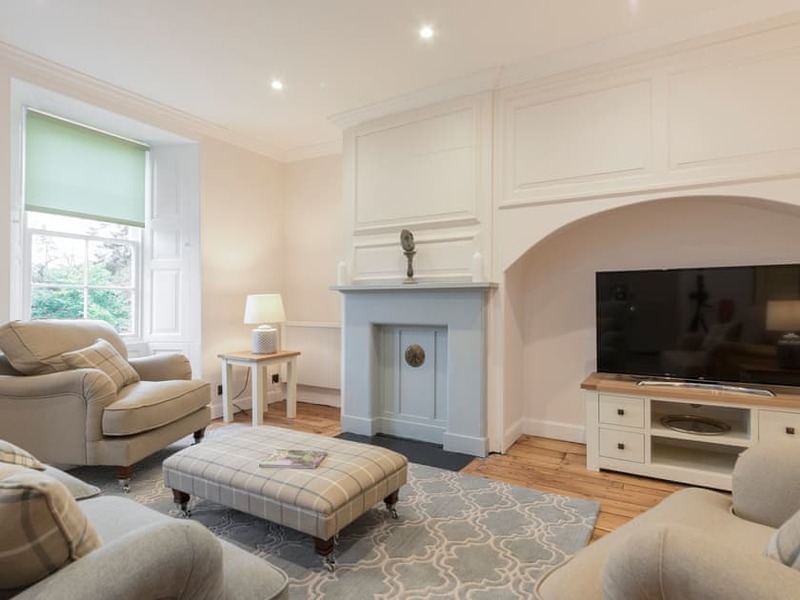 Lovely stylish and spacious apartment in a good location in the town. 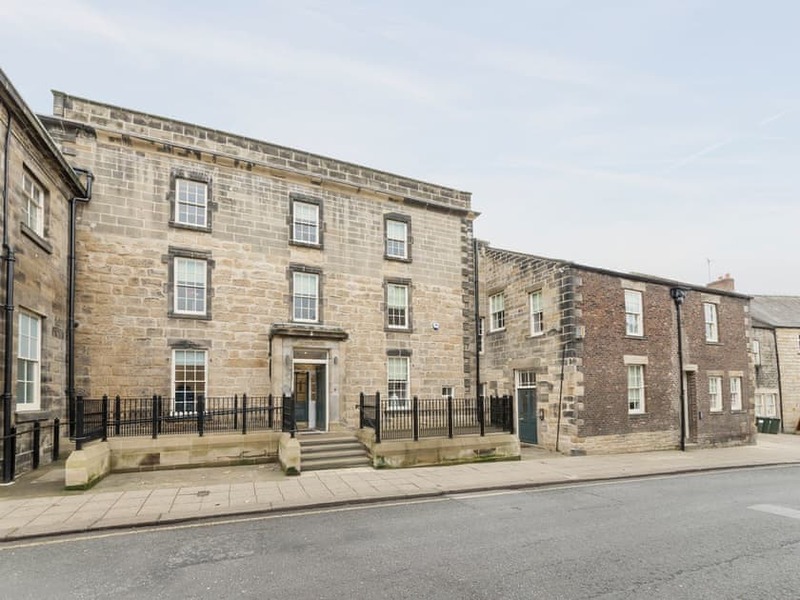 Apartment 7 is at the top of Hexham House (second floor) and it’s a bit of a climb but views are great across the gardens and Hexham Abbey one way, and into the hills from the other bedroom. Everything is well laid out. There is no washing machine or easily usable ironing board but otherwise excellently equipped. The town has many good supermarkets, a station to get into Newcastle/Carlisle and also good coffee shops and cafés in the market area. There is an excellent french restauarant next door. Hexham is in a good position for exploring Hadrian’s Wall, Corbridge Roman Town, Newcastle and the coast to the north. 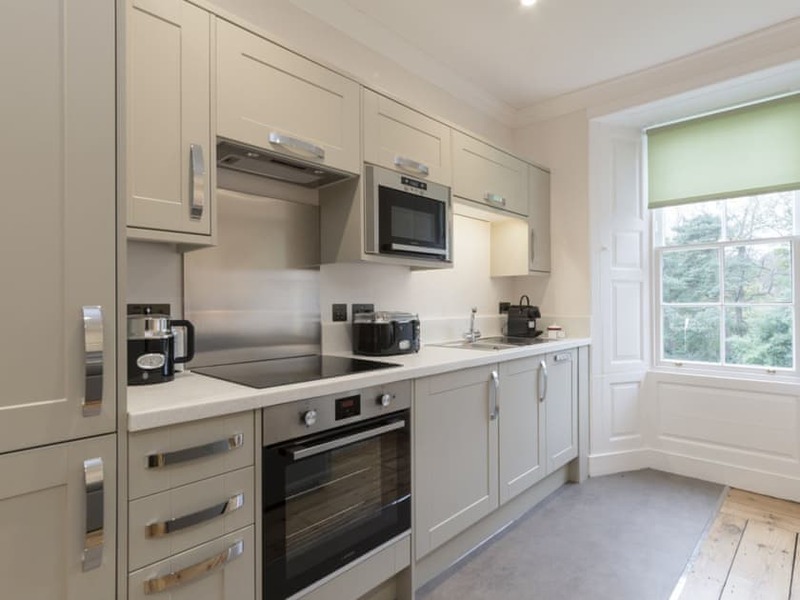 All in all, an excellent apartment and very well managed by Jamiesons. Lovely apartment very comfortable. Hexham lovely small town with useful amenities. Easy access to Hadrian's wall which can easily occupy many days.